A great activity for any day of the year, the West Yellowstone Historic Walking Tour is a self-guided tour through town. Visit historic sites and learn about West Yellowstone and Yellowstone National Park history. What is the West Yellowstone Historic Walking Tour? It's a self-guided walking tour through the town of West Yellowstone that explores a number of historic sites along the way. How can I join the Historic Walking Tour? Since it's self-guided, you can experience the tour any time of day, any day of the year. You simply need to pick up a Historic Walking Tour map, which is available at the Visitor Center as well as many hotels and local businesses. The Historic Walking Tour pamphlet offers a brief overview of West Yellowstone's history, including the 1959 earthquake, the fires of 1988, and the geological history of Yellowstone's hot spot. The tour itself invites you to visit roughly 20 historic sites within a 4 block radius. 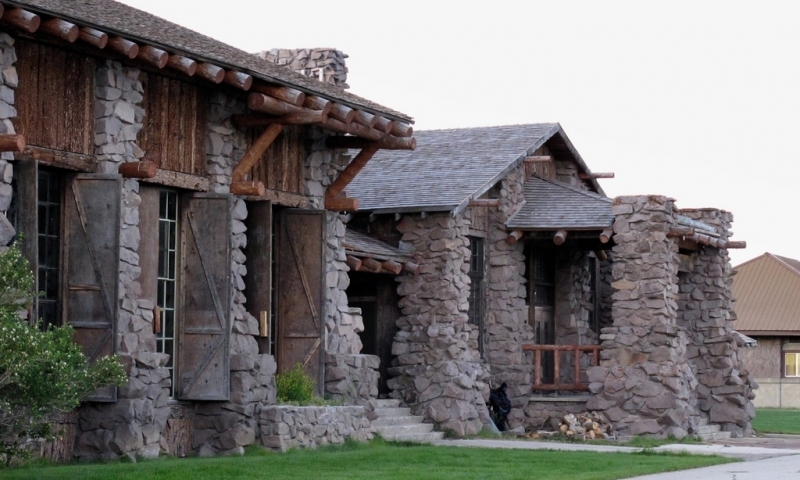 Some of the stops include the Union Pacific Railroad Depot and the Yellowstone Historic Center (open mid-May to mid-October), the Three Bear Lodge, location of men and women's dorms, and the forest service cabins.